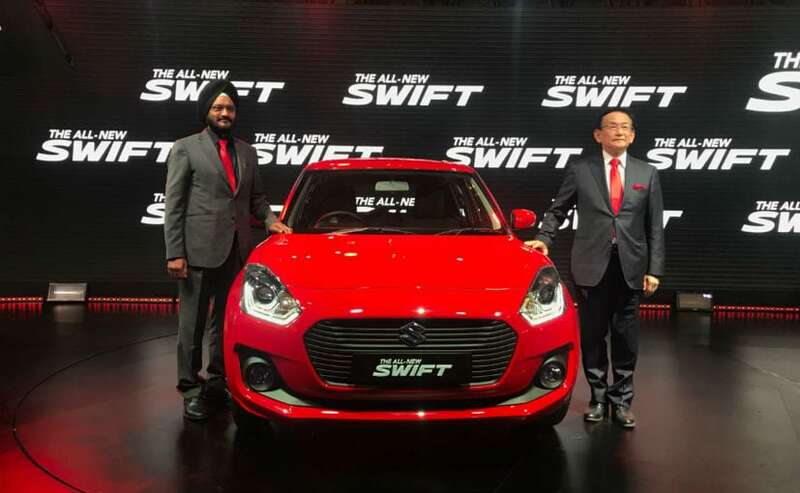 The new generation Maruti Suzuki Swift has been launched at the 2018 Auto Expo and is about Rs. 20,000 more expensive than its predecessor boasting of better features, performance and fuel efficiency figures. The third generation Maruti Suzuki Swift has been launched in the country with prices starting at ₹ 4.99 lakh (ex-showroom, Delhi). The new Swift is priced up to ₹ 7.96 lakh for the range-topping variant. 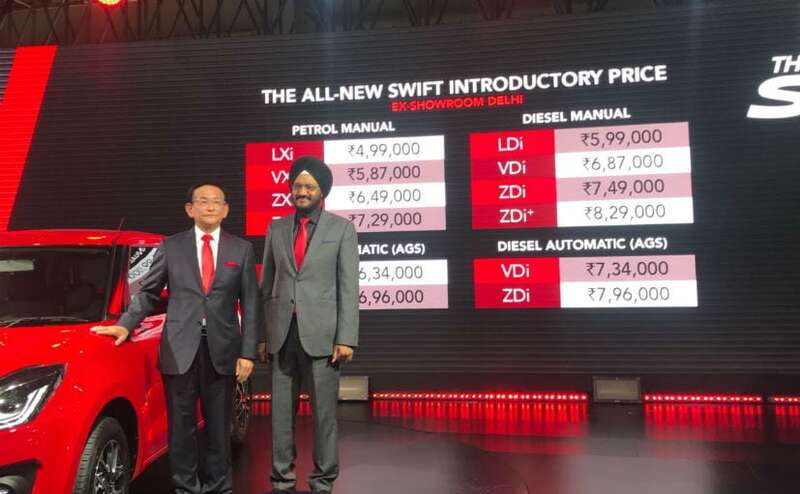 The new generation Maruti Suzuki Swift is available in both petrol and diesel engine options, and for the first time get the option of a diesel automatic as well. We drove the India spec model last month and came back very impressed with how much the car has evolved in its latest avatar. Deliveries for the new Swift will commence later this month, with the car already commanding a waiting period of six to eight weeks. The all-new Maruti Suzuki Swift is a complete departure from its predecessor and is built on the modern and lighter Heartect platform. The new chassis has helped make the hatchback get a stronger and more rigid structure. The design is completely new as well, albeit reminiscent of the Swift and get a large grille up front with bug-like headlamps with projector lens and LED DRLs on the top trims. The car also gets diamond cut alloy wheels and LED taillights to complete the look. 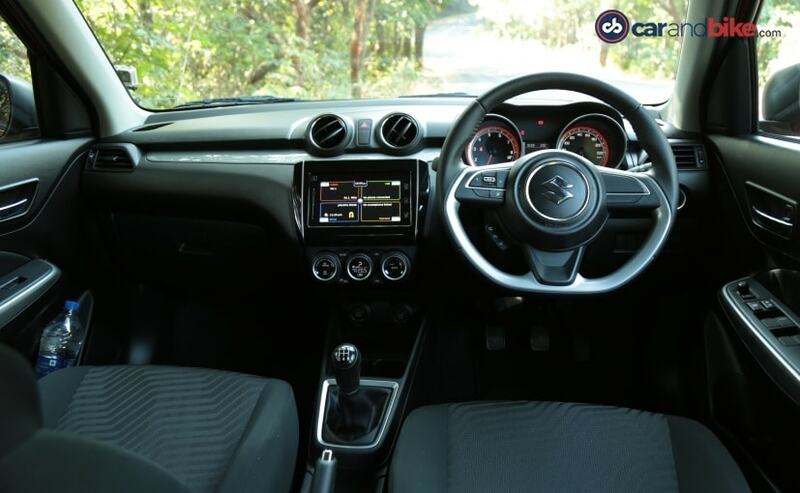 Inside, the new generation Maruti Suzuki Swift boasts of better quality materials and a more upmarket cabin. The dual-pod instrument cluster looks premium while the flat-bottom steering wheel lends a sporty touch. The car also comes with the familiar SmartPlay infotainment system that supports Apple CarPlay and Android Auto, along with Auto climate control on the top variants. The rear seat offers better legroom than previous generation Swift and helping the cause is the wider body and longer wheelbase. Boot capacity has also increased by a decent margin and now stands at 268 litres. With respect to the engines, Maruti Suzuki has carried over the tried and tested powertrains. The 1.2-litre K-Series petrol makes the same 82 bhp and 115 Nm of peak torque, while the 1.3-litre DDiS diesel remains unchanged as well and churns out 74 bhp and 190 Nm of peak torque. Both mills are paired to a 5-speed manual gearbox and an automated manual transmission (AMT). Apart from the Swift, Maruti Suzuki has showcased a host of new offerings at the Auto Expo 2018. The showstopper remains the new Future S concept, e-Survivor concept and more.